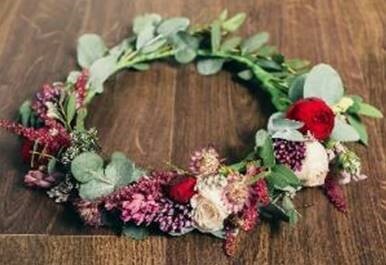 As the festival season is now well and truly underway, it means it is time for the reappearance of the trendy and iconic headpiece; the flower crown. Front Row, Notting Hill’s newest boutique florist, has recently launched a series of masterclasses at their wonderful venue and are now hosting a class in making your very own flower crown. The flower crown is the perfect summer accessory for any occasion, from weddings to festivals, garden parties or just to dress up an outfit. The masterclass will take place on Thursday 2nd August 2018, just in time for popular festivals such as Bestival and Wilderness. 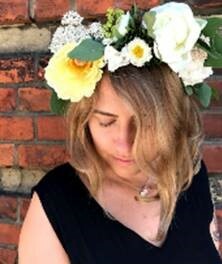 Festival goers can create their own bespoke floral garland to wear proudly all weekend. The small masterclass accommodates 8 guests and includes prosecco and nibbles. It is the perfect setting for a group of friends to prepare for a weekend full of fun, music and dancing. The group will work with real flowers, including Craspedia, Buplerum, Astrantia, and Hydrangea, to create contrasting bright and bold with delicate and whimsical styles. The team at Front Row offer guests their expert guidance to create individual and personal head pieces. The classes can also be booked by groups of friends for hen do’s or bridal parties, for a delightful evening of flower arranging to create something new and maybe even something blue for their special day. Perfect for the bohemian bride, the increasingly popular and stylish floral head pieces can add a personal touch for the bride’s special day. Guests are encouraged to arrive from 6pm, with the class taking place from 6:30 – 8:30pm. Drinks and canapes will be served on arrival and throughout the class in which guests will leave with their fabulous flower crowns, as well as a goodie bag.